mark. by Avon has released the mark Velvet Lip Paints. There are 4 shades in the range and they retail for $12.00. 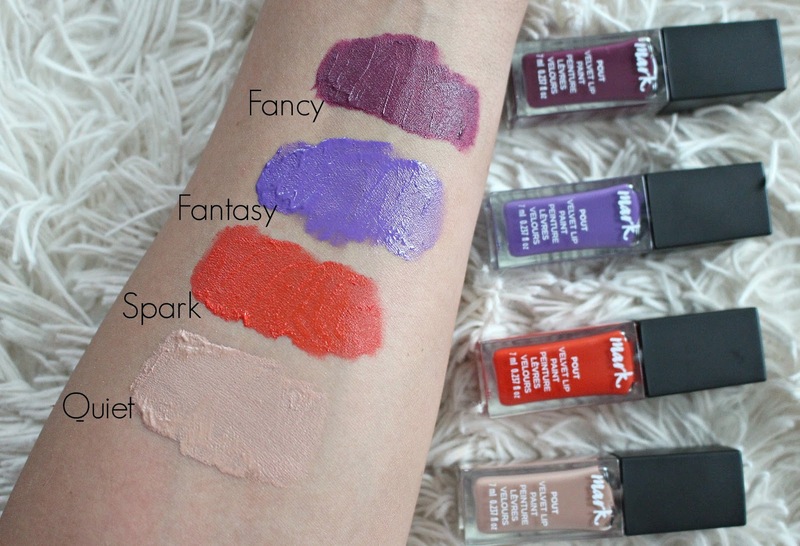 Swatches of the mark Vinyl Lip Paints to come. "Glide on the luscious lip paint that combines color and a built-in primer. More intense than lipstick, more saturated than gloss." The mark. Velvet Lip Paints are full of colour with a mousse texture. If you have issues with long-wearing liquid lipsticks that are super matte this may be a nice option for you. The shade range is small and kind of odd to me, although I like the shades I feel like there are some lacking.